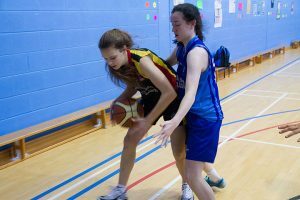 Basketball is played as part of the PE Curriculum and also competitively as an extra-curricular activity. 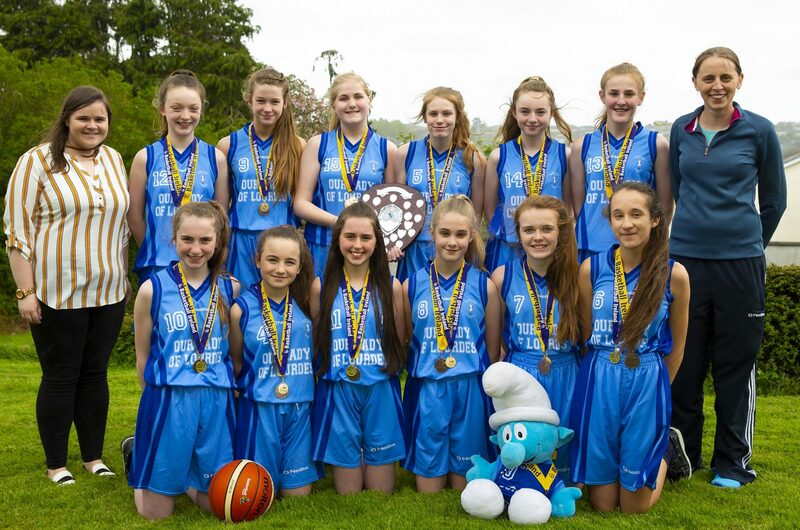 Our Lady of Lourdes Basketball team compete in the South East regional post primary school leagues in Senior, U16, 2nd year and 1st year level. In first and 2nd year especially, participation is emphasised. 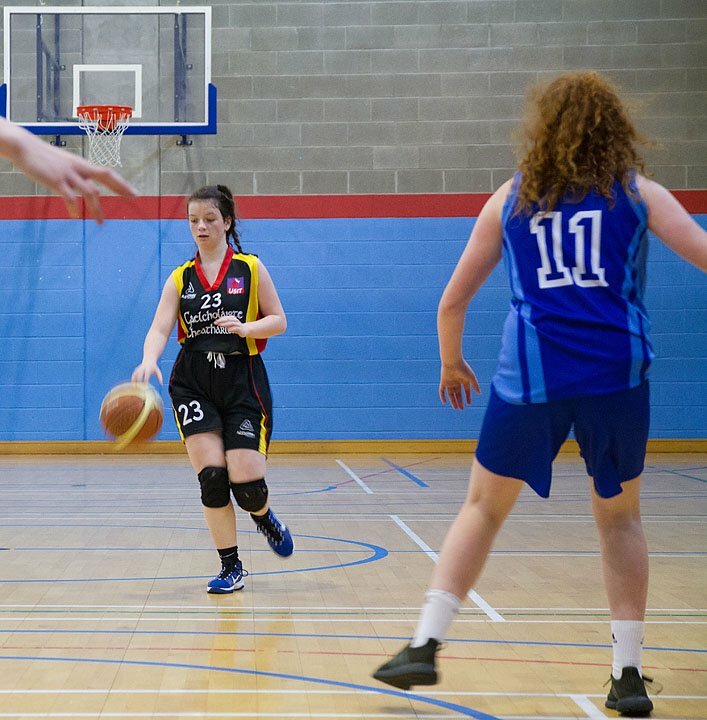 If numbers allow, two teams are entered into the South East league at different grades. 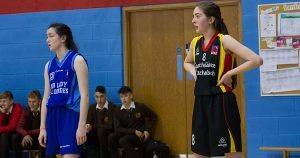 Lunch time “mini leagues” are also in place at the start of 1st year to help our new students integrate into school life in a positive, active manner, whilst getting to know some of the older students who act as their coaches for the duration of the lunch time matches. 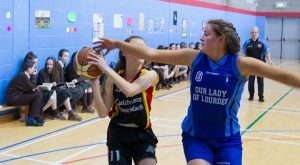 In 2001 Our Lady of Lourdes claimed their first ever Senior All Ireland basketball title. The past few years has seen the school experience great successes having reached the South East final and the All-Ireland playoffs each year at various different age groups. 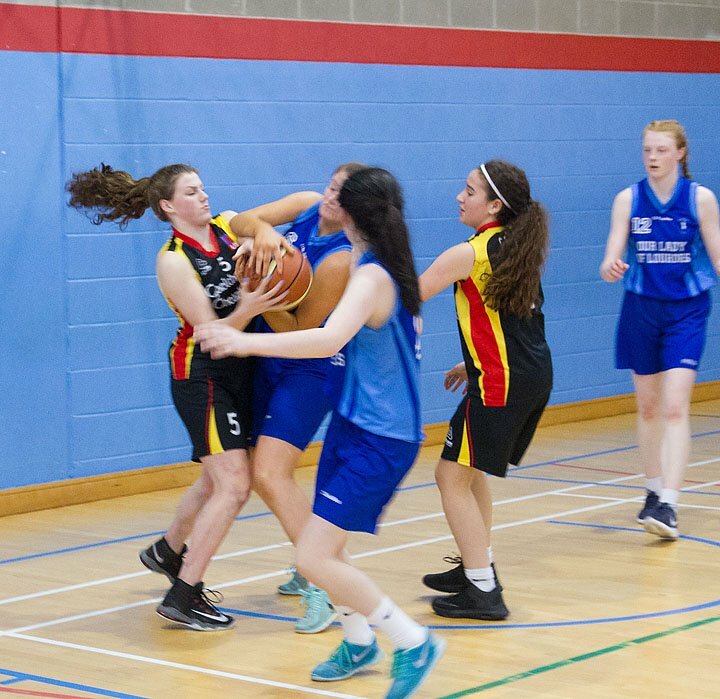 In 2018, the first year basketball team won the South East title and came 3rd in the All Ireland Basketball competition. 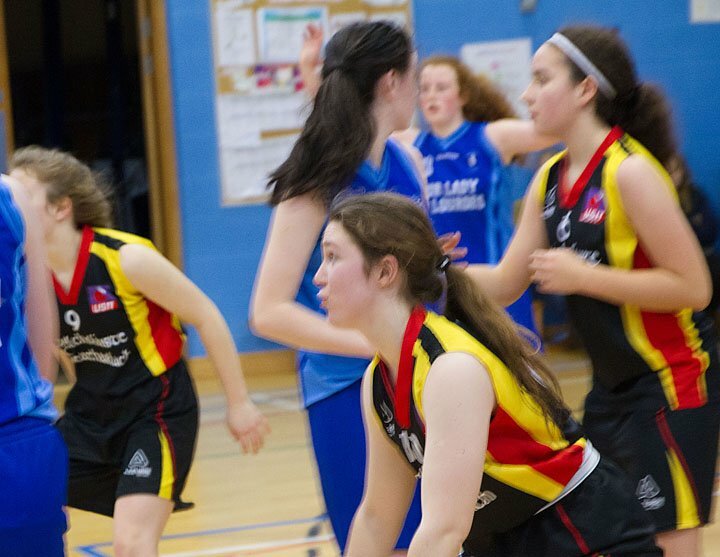 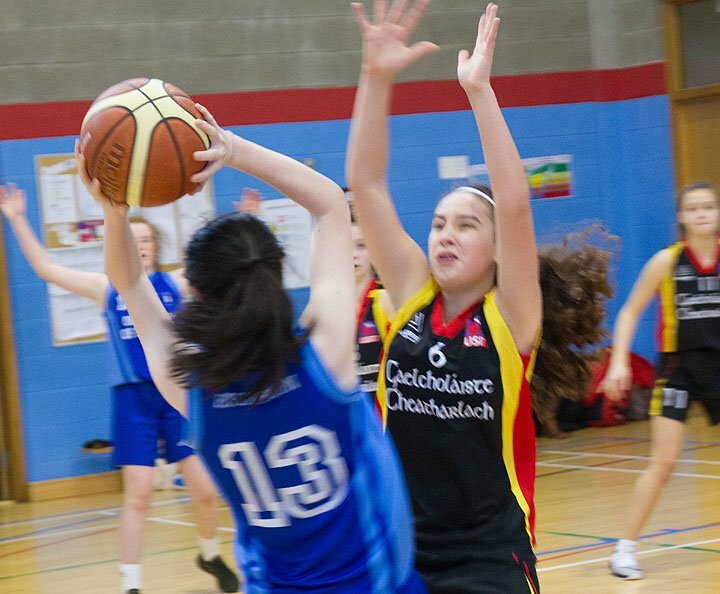 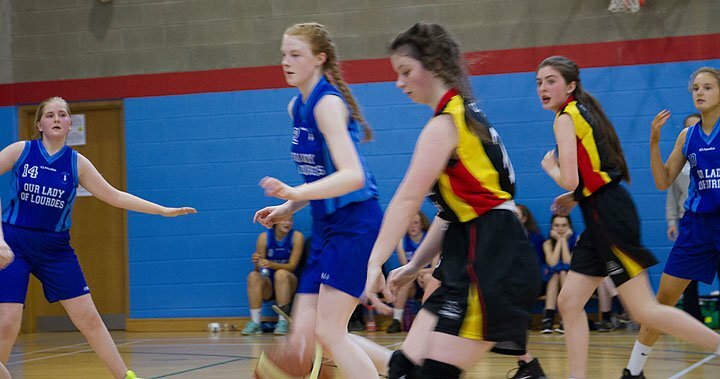 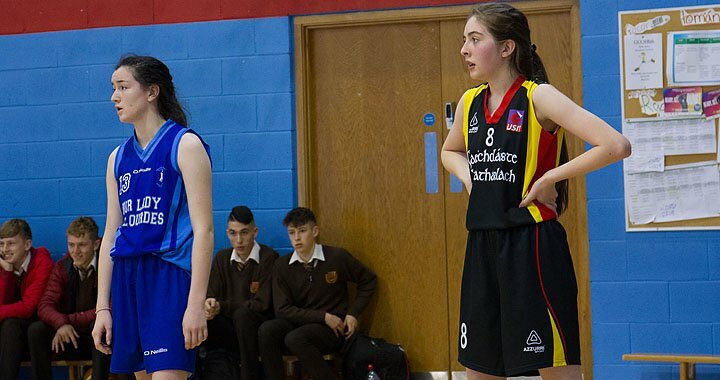 Our Lady of Lourdes U16 basketball team took on one of the favorites to win out the competition when they faced Gaelcholaiste Carlow away in the quarter final of the South East competition. 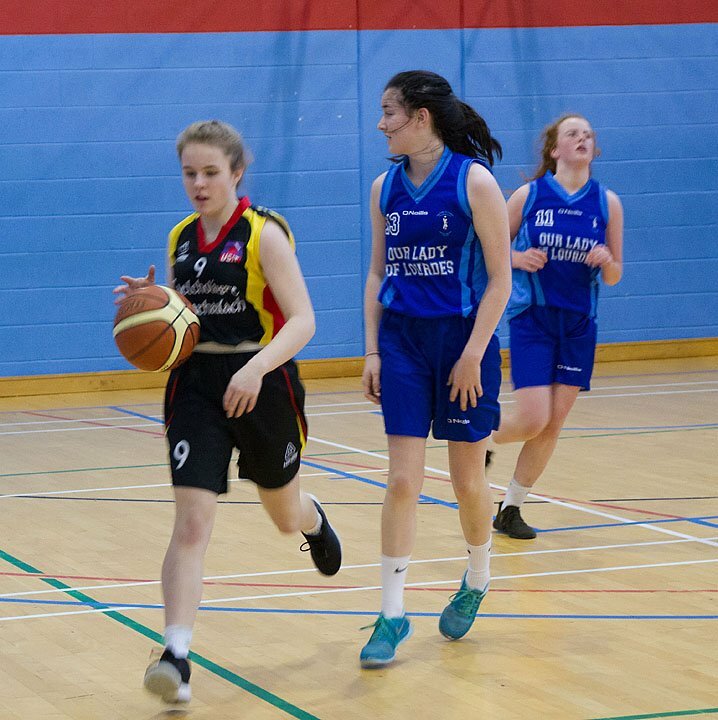 With three of the starting five absent due to illness the game was always going to be a tough one but the rest of the team stepped up and played a great game. 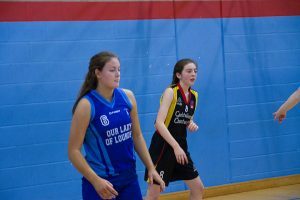 OLOL started really well with good movement on the court and by the end of the 1st quarter we were 10-6 up. 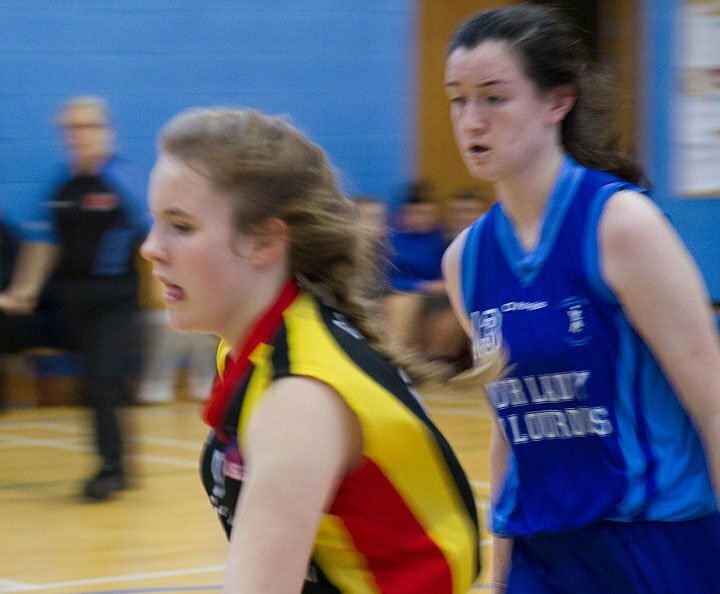 Little by little Gaelcholaiste got more and more into the game and took the lead going into half time 15-14. 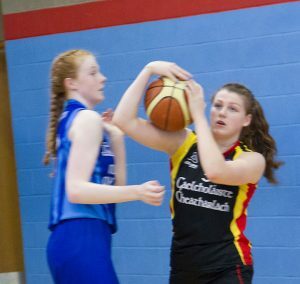 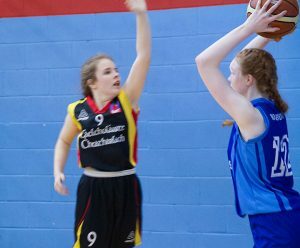 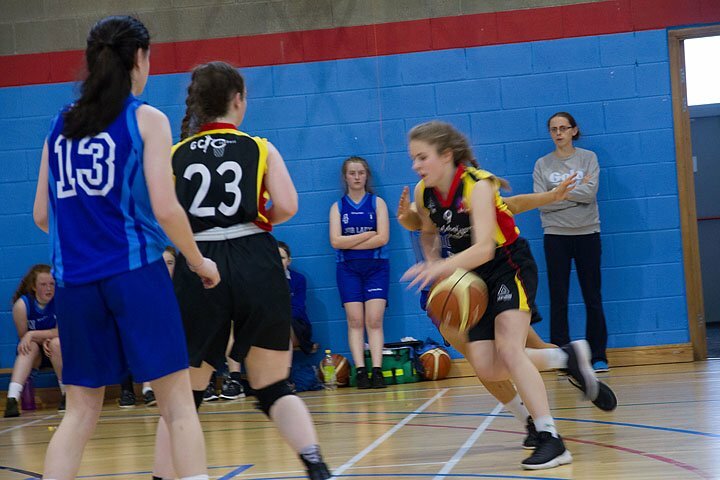 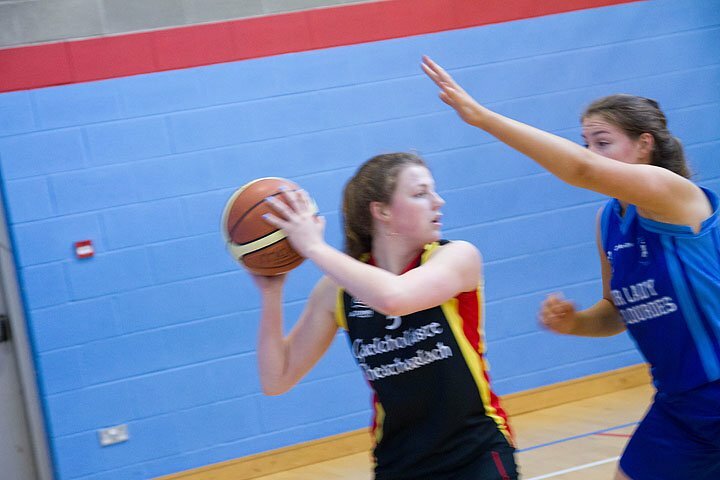 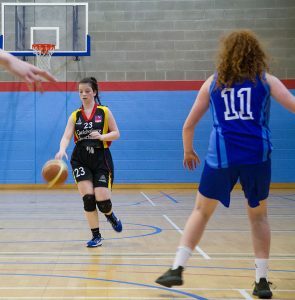 With players in foul trouble and starting to tire, OLOL started to make mistakes and Gaelcholaiste Carlow took full advantage and began to build a lead. 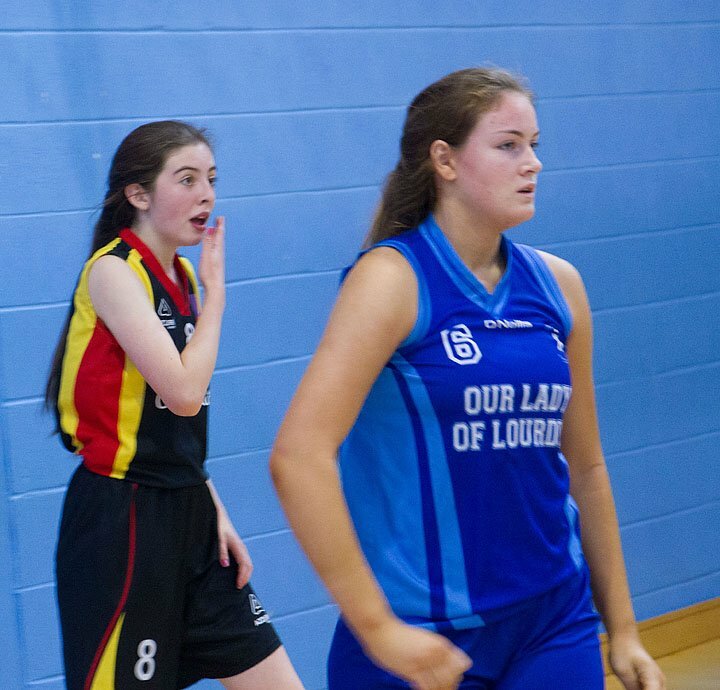 This lead they would not let go of and ran out 37-20 winners. 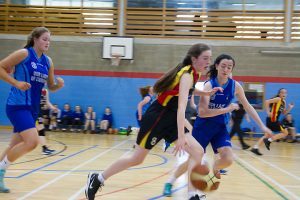 The score line does not reflect how close it felt throughout the match and the girls should be proud of their “never say die” attitude. 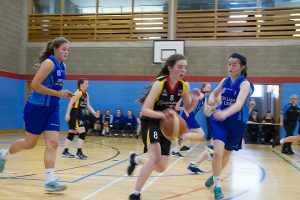 Team on the day: Emma Whelan (7pts), Marie Claire O’Dwyer (2pts), Leah Hanrahan (3pts), Kate Lyng, Kirstin Kenny (4pts), Natasha Kelly, Leah Myers, Aoife Woods (4pts). Emma Whelan (captain), Marie Claire O’Dwyer, Leah Hanrahan, Kate Lyng, Kirstin Kenny, Natasha Kelly, Leah Myers, Aoife Woods, Kateyln Flynn Tobin, Emma Barron, Sophie Walsh, Keri Kavanagh, Louise Rafter, Mia Phelan, Erin Flanagan, Ella Dollard, Julia Halicka, Aisling Ryan, Sinead Curran, Keela Cassin. 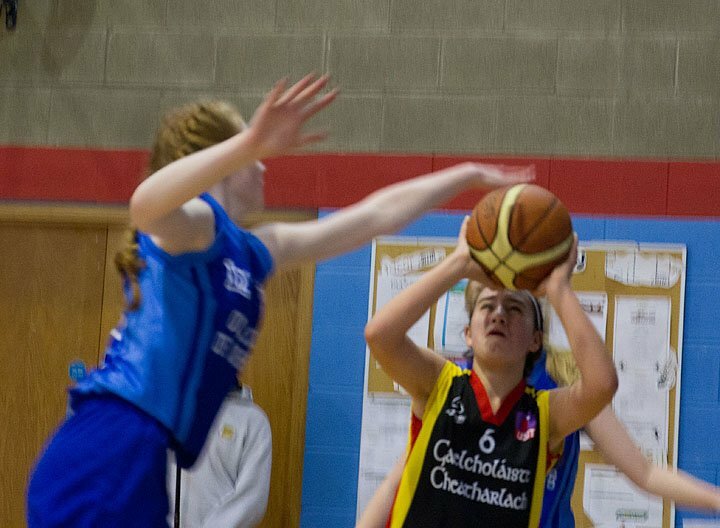 The u19 team bowed out in the group phase when they came up against really strong Wexford opposition. 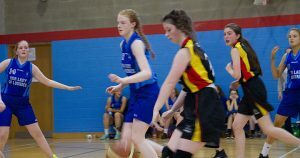 6th years Caroline Whelan & Eimear O’Shea played their last games for the school and we thank them for their contribution to school basketball over the years. 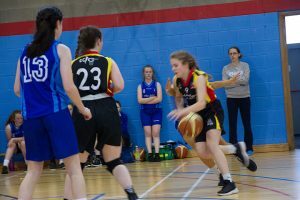 Caroline Whelan (captain), Eimear O’Shea (captain), Annie Kirwan, Elizabeth Phelan, Jennifer Dunne, Sarah Larkin, Jane Walsh, Roisin Gill, Ellen Hennessy, Roisin Lyons, Emma Whelan.